I am excited to share that An Apple for Christmas, the fourth novella in the Christmas Traditions Series, is FREE on Amazon from November 7-9! Download this delightful novella today! Ruby Nelson trades her job in the laboratory for teaching in a small girls’ school in Vermont. Twin sisters challenge her position—and their father captivates her imagination. Will the orchard grower graft Ruby onto his heart? An Apple for Christmas is a wonderful novella! Darlene Franklin has penned a story as sweet and delicious as the apples she has written about. The endearing characters delighted and charmed me, as did the engaging storyline! I loved An Apple for Christmas and I highly recommend this novella! Purchase your copy of An Apple for Christmas for only $0.99! On Monday, I shared a lovely interview with Darlene Franklin. She has graciously offered a Kindle copy of An Apple for Christmas to one lucky reader, so be sure and leave a comment to be entered! Commenting here and on Darlene’s interview post will earn you 2 entries in the giveaway! The giveaway ends Saturday, October 25 at 11:59 p.m. CST. 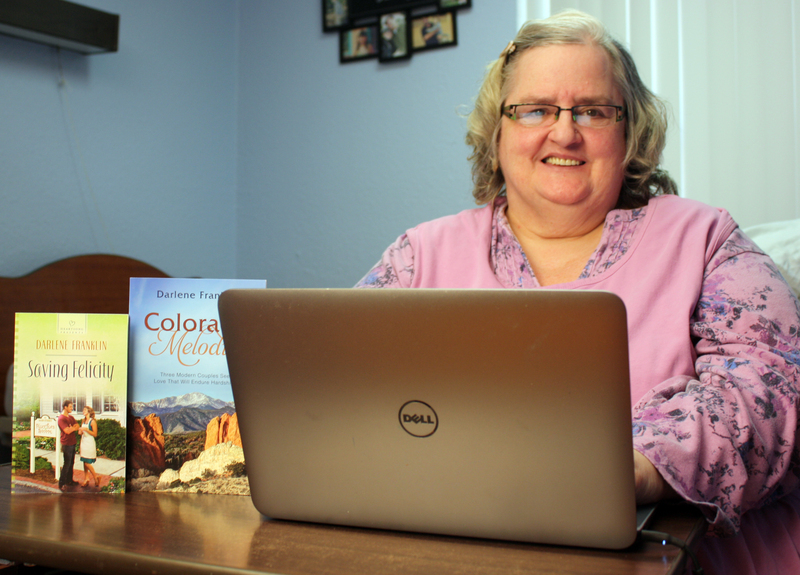 Welcome to Buzzing About Books, Darlene! Please share a little about yourself. My greatest claim to fame is that I write full-time from a nursing home. I live in Oklahoma, near my son and his family, and continue my interests in playing the piano and singing, books, good fellowship, and reality TV in addition to writing. I am an active member of Oklahoma City Christian Fiction Writers, American Christian Fiction Writers, and the Christian Authors Network. I have written over thirty books and has written more than 250 devotionals. 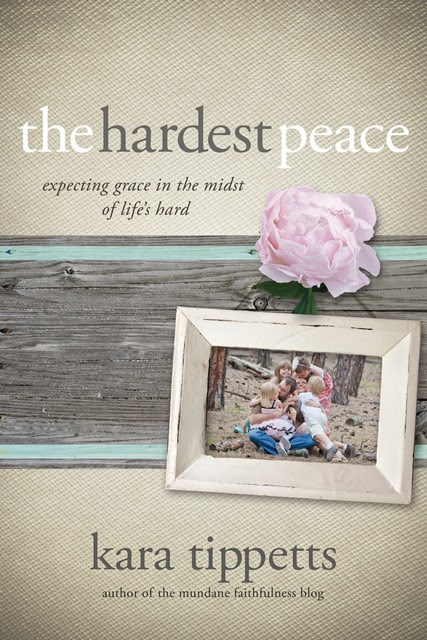 After I was divorced, 23 years ago now, I felt compelled to write about the things God was teaching me. Once I got into the habit of writing every day, I never stopped. What is your writing process like? How has it changed in the last few years? I tend to have a warm up routine. I check any recent interviews and blog spots for comments, emails to answer, sales trends to follow . . .in other words, I waste a lot of time. My computer rests on a movable table in my room. Turn on light and computer and television and get to work. When I entered the nursing home 2 years ago, I had to adjust my daily goals. I have less time to write, and so I take longer to write a book. I do play fewer online games than I used to. My favorite part? Brainstorming ideas. Seeing the finished product. The satisfaction that the process worked and I have another good book on my hands. The least favorite is the writing itself. It is long and hard and boring. At times, it is agonizing. In the book I’m currently writing, I’m reliving my days of raising troubled teens as a divorced mother. What is one of the most interesting things you’ve discovered while doing research? I was in the Colorado History Museum researching the history of Italians in Colorado when I heard elephants bugling. When I tracked down the exhibit, I learned that circus elephants who spent their winter months in Denver helped with clearing the streets after the worst storm in state history. That scene made it into my story, Dressed in Scarlet. Please tell us about your latest release, An Apple for Christmas. An Apple for Christmas is Book 4 in the Christmas Traditions series. Ruby Nelson trades her job in the laboratory for teaching in a small girls’ school in Vermont. Twin sisters challenge her position—and their father captivates her imagination. Will the orchard grower graft Ruby onto his heart? What inspired this delightful story? I have been writing about Vermont for years – nine books in all, from the Revolutionary War to contemporary. I don’t expect to write any more books set in Maple Notch. But I love the setting (I’m a native New England), so I looked at Vermont industries in the 1890s and was surprised to learn they were leaders in apples nationwide. So I wrote my apple story. In An Apple for Christmas, I enjoyed the characters’ names and their meanings. How did you decide which names to use? Choosing Mac(intosh) for the hero was the easy part. I originally chose the last name “Brown” but then decided that Cortland was a fine last name which also happened to refer to apples. Choosing the girls’ names was harder. Today there are several apples with female names. However, few of them were in production in the 1890s. Margil and Pippin were among the few I could confirm were grown in the United States in that period. I could nearly smell the scent of apples as I read, especially during the scene where Margil was cooking in the kitchen! What are some of your favorite apple treats? McDonald’s apple pies. Apple pie of any kind. Apple crisp. Caramel apples, except I can’t chew them anymore. Thank you for asking. I am finishing up my 8th Maple Notch story, Runaway Love. It should come out from Harlequin Heartsong Presents next August. After that, I will write the final book of the series, Homecoming. In December, my novella Miss Bliss in the Bear will appear in The Preacher’s Bride Collection. This year, people seem drawn to Colorado Melodies and The New England Romance Collection. Thank you so much, Darlene. Where can readers find out more about you and your books? For now, the best places are my author page at Amazon http://www.amazon.com/Darlene-Franklin/e/B001K8993A/. An Apple for Christmas is available on Amazon. 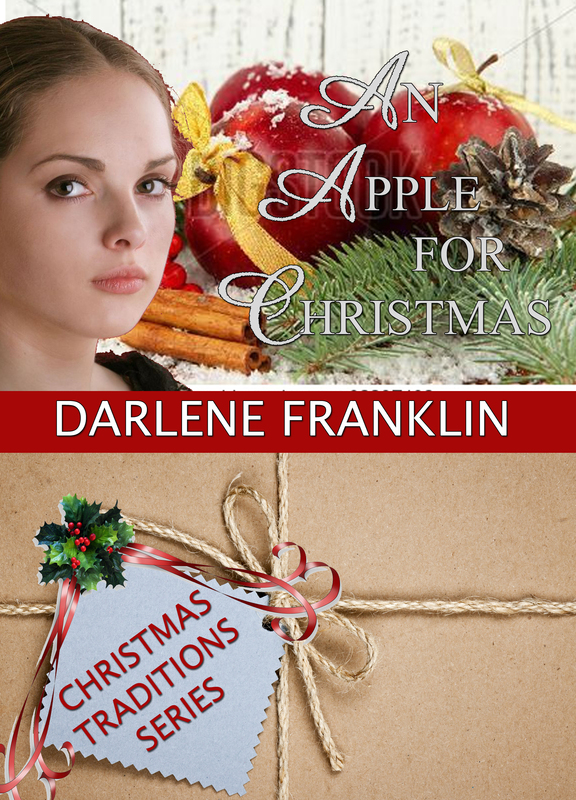 Darlene has graciously offered to give away one Kindle copy of An Apple for Christmas! Leave a comment, including your email address, to be entered to win this delightful novella. This giveaway ends Saturday, Oct. 25 at 11:59 p.m. CST.